Florsheim Mens Black Pisa Leather Dress Tassel Slip On Trendy Comfy Loafer Shoe! Please note that the WIDE is 3E(EEE). The Florsheim Pisa has been the first choice of fashion conscious gentlemen for years. This self-fitting dress loafer features crocodile print uppers stitched with genuine moccasin construction. 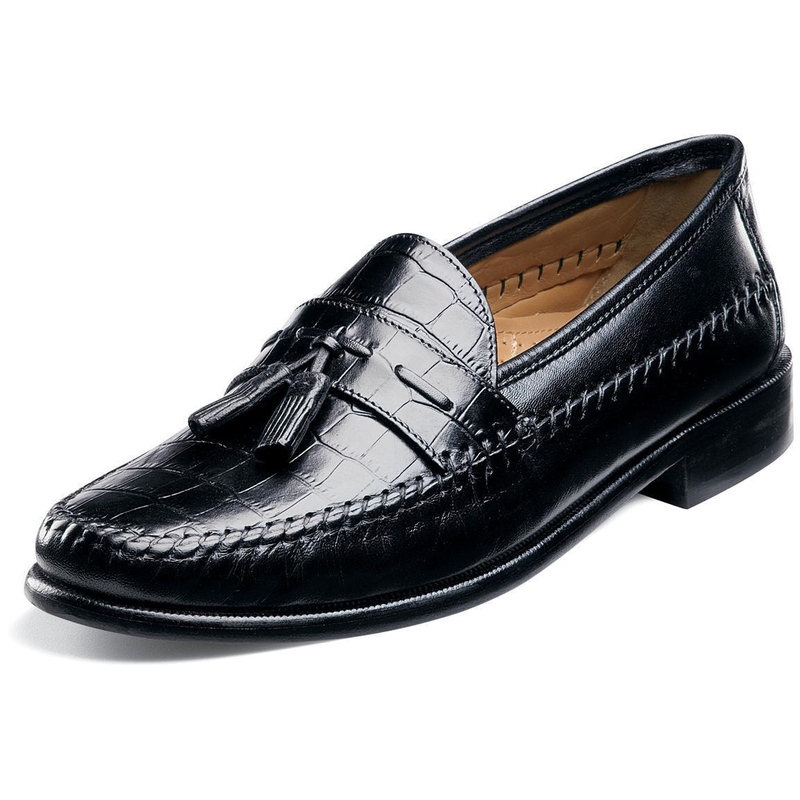 The decorative tassels adds a touch of flair to this sophisticated loafer.